Until recently, the oldest human fossil remains ever discovered in Poland were three molars found in Cave Stajnia, in the Krakow-Czestochowa Upland. Those molars were estimated to be between 42-52,000 years old. According to Science in Poland, that discovery has recently been blown away. 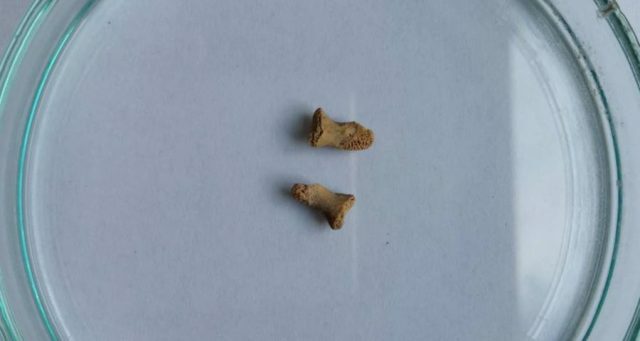 A pair of finger bones belonging to a young Neanderthal child have been found in Cave Ciemna. The bones appear to have been digested by a large bird and are estimated to be about 115,000 years old. 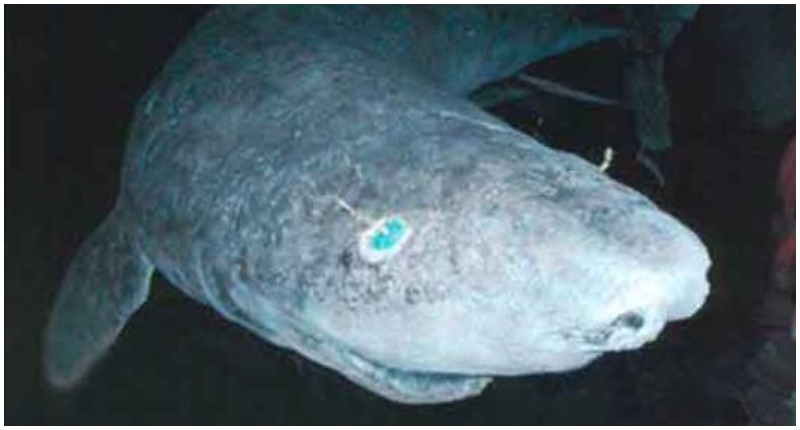 Identification was confirmed by Dr. Anita Szczepanek from the Jagiellonian University in Krakow and Professor Erik Trinkaus from Washington University in St. Louis, Missouri. Scientists noticed that the bones were poorly preserved, and very porous, dotted with tiny holes. “Analyses show that this is the result of passing through the digestive system of a large bird. This is the first such known example from the Ice Age,” said Professor Pavel Valde-Nowak of the Institute of Archaeology from Jagiellonian University. He believes that the bird could have attacked and partially consumed a small child, or it may have found the child already deceased and eaten it then. Either possibility was equally likely. 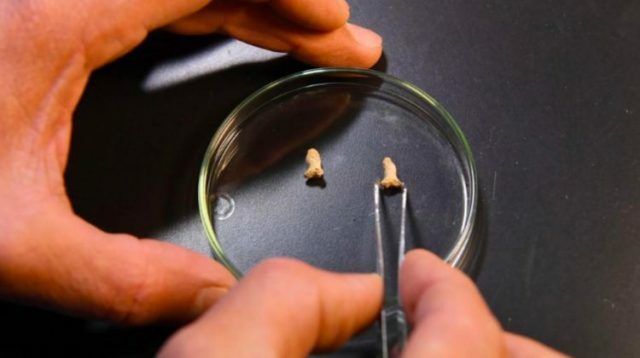 The poor state of the bone preservation means that scientists can’t extract any DNA from them, but scientists feel comfortable saying the bones belonged to a Neanderthal, according to Professor Valde-Nowak, as the bones came from what at one time was a deep part of the cave which also contained Neanderthal stone tools. 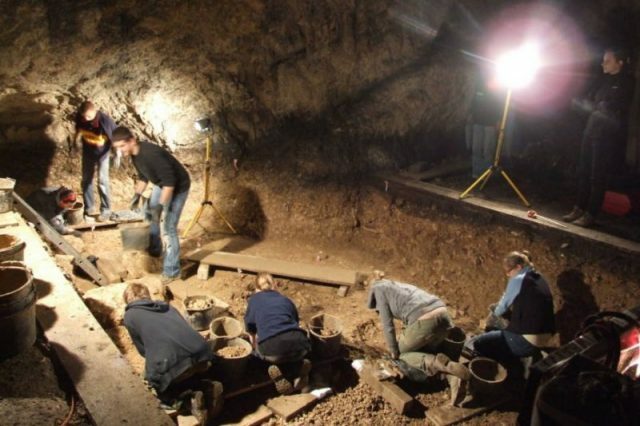 The Neanderthals may have actually lived in the cave, or they may have just used it seasonally. The bones were actually discovered a few years ago, mixed up with a lot of animal bones, but scientists only recently did the analysis that showed them to be human remains. 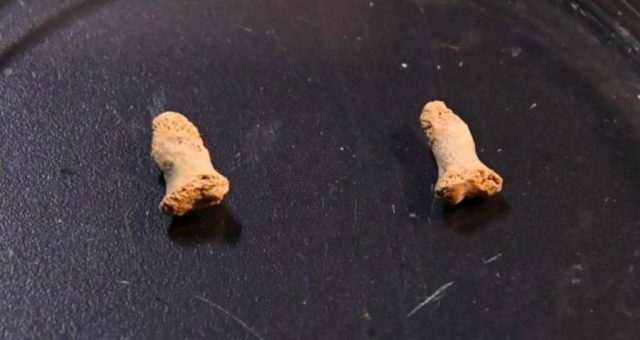 The discovery is even more important as, up until now, only single bone fragments of pre-humans had been found in Poland. According to BestNews, the bird who consumed the bones was probably a giant terror bird. Scientists believe that this family of birds rose to the top of the food chain for about 60 years after a meteor took out the dinosaurs who had previously held that spot. 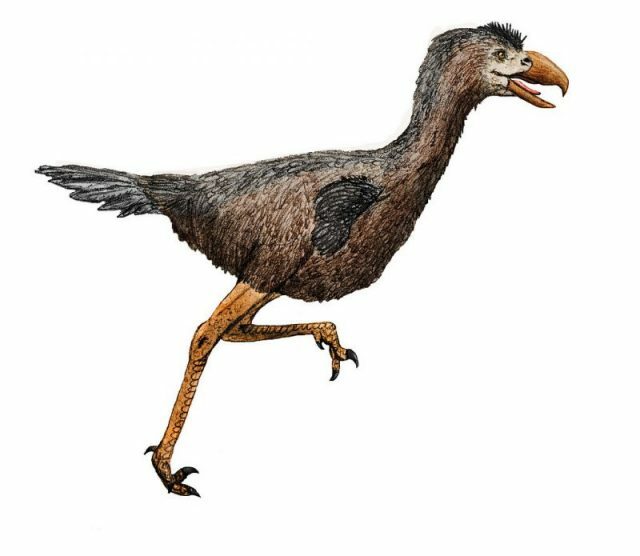 There were 17 species of the terror bird family that were prevalent at the time, and their diet was mostly herbivore mammals. While scientists think that most of the birds died off about a million years ago, there’s evidence to suggest that at least some of their relatives were still around until about 10,000 years ago. 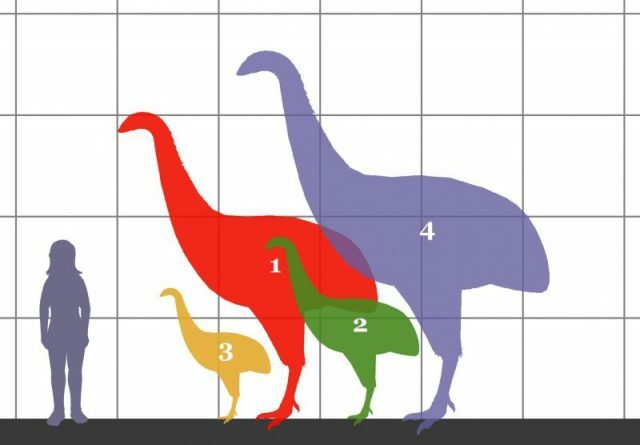 Size comparsion between 4 species of terror bird and a human. 1. Dinornis novaezelandiae (3 meters tall). 2. Emeus crassus (1.8 meters tall). 3. Anomalopteryx didiformis (1.3 meters tall). 4. Dinornis robustus (3.6 meters tall). As impressive as the find in Poland is, those bones are nowhere near the oldest human fossil remains that have ever been discovered. In 1974 a team of archeologists in Ethiopia found a skeleton buried in a layer of sediment that was known to be about 3.2 million years old. The small skeleton was assumed to be female, given its size, and was dubbed Lucy. 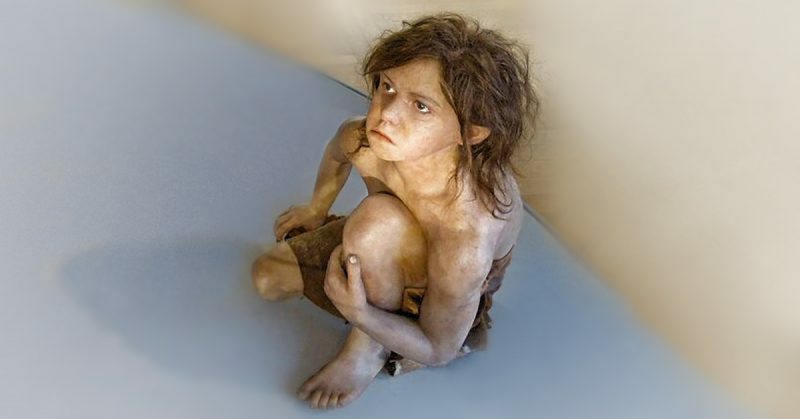 Lucy was a new species of early human and gave evolutionary scientists whole new avenues for research. Even in Europe, there are human fossils dating back 1 million years. According to ScienceAlert, new research is suggesting that humans may even have developed in Europe prior to their development in Africa. Researchers were doing deep analysis on a fossilized jawbone from Greece and a premolar from Bulgaria. The fossils were from a species known to be hominid, if not human, but after using micro-computed tomography and 3D reconstructions, scientists discovered similarities with bones in modern humans and their predecessors. The fact remains, however, that the human fossil record is far from complete, and we only have a hazy idea of when, where, and how proto-humans took the first evolutionary steps that set us apart from the apes and other hominids. That’s why every discovery like the one in Poland is important; they all take us a little bit closer to filling in the blanks of how we came to be.